Now in every Light Centre! Offering a wide range of beautiful mats, props, books and gifts to accompany you on your yoga journey. Browse through inspiring gifts, sweat wicking mat towels, the organic cotton meditation range and more Yogamatters goodies at the Light Centre and discover the joy of taking your practice home after class. 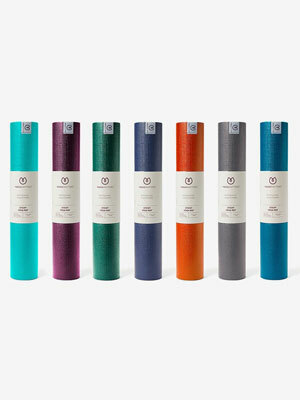 Explore a range of yoga mats to suit your practice, whether you are looking for a lightweight travel mat for a retreat or your own durable mat that you can rely on time after time, whether in class or at home. Make the most of feeling the mats for yourself before investing at our Yogamatters pop-up shops. 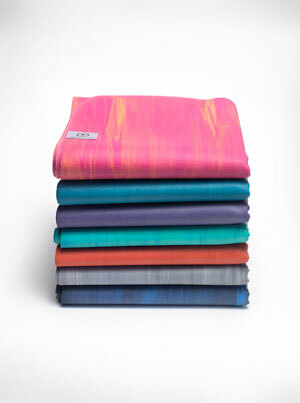 A great solution to a sweaty practice, the Grippy Towel from Yogamatters is made from sweat absorbent microfibre to wick away moisture and comes in a variety of vibrant patterns and block colours. Discover using a bolster at home to deeply relax and unwind when you can’t make it to class. Useful for forward folds and poses to counteract desk slouching and beautiful enough to have on display around the home. Start a morning meditation practice to set you up for the day by finding a comfortable seat with a meditation cushion to suit everyone. From organic cotton to classic patterns inspired from all over the world, this is a staple piece to take your practice from the studio to everyday life. From journals to Om Tingsha, pick up a unique gift for yourself or a friend after class at The Light Centre.